Back in ancient Rome, gladiators would signify the end of a fight with either a thumbs up or a thumbs down, which was basically a very simplified, and rather brutal, sort of review. From the humble beginnings of word-of-mouth to an entire industry, feedback has certainly come a long way and itÂ’s not stopping here. ItÂ’s become second nature to look up and consider online reviews, whether we want to purchase an electronic, choose a restaurant, or book a hotel. Yet why exactly do we base our decision on reviews? Back in ancient Rome, gladiators would signify the end of a fight with either a thumbs up or a thumbs down, which was basically a very simplified, and rather brutal, sort of review. From the humble beginnings of word-of-mouth to an entire industry, feedback has certainly come a long way and its not stopping here. Its become second nature to look up and consider online reviews, whether we want to purchase an electronic, choose a restaurant, or book a hotel. Yet why exactly do we base our decision on reviews? What psychological processes are influencing our choices? Weve decided to look further into the psychology of online reviews and get a deeper understanding of how and why other peoples feedback matters so much to consumers. The more options we are presented with - the harder it is to make a decision - thats just a fact. Think of it like this: if we ask our grandparents what they used to watch on TV when they were young, their answer might be pretty simple: whatever was on one of the two-to-three available channels. Nowadays, options are endless and on-demand in any industry or area. What shirt do I wear today? Where do I eat tonight? What hotel should I choose? These are all decisions that we have to make on a daily basis and the fact that we are presented with so many options and so much diversity, makes us stop and wonder - and this is exactly where reviews step in and shed some light on the performance and quality of our potential purchases. If an experience is positive, consumers will try to acknowledge the great service or product, in which they invested, to help the business succeed. Its safe to say that the main reason why consumers write reviews is that theyre aware of the importance and the impact they have and they want to help guide future buyers. The same way that online reviews helped them make a decision, they want to shape the purchase path of the next buyers by sharing their own experience. If that experience was a positive one, consumers also try to acknowledge the great service or product that they invested in and to help the business succeed further. However, a negative experience can often result in negative reviews, since people feel the need to vent and get an explanation or an apology from the management, as well as to put out a warning for future customers. From a psychological point of view, knowing that your review has the power to influence the decision of other people can be a form of empowerment; you feel important and you know that your voice has an impact. Also, theres a certain sense of altruism when you think that your opinion and suggestions can help a business improve and achieve better results in the future. Last, but not least, people are driven by the need to belong to a group, to relate to other consumers, like themselves. The concept of social proof is based on the impact that other peoples opinions or actions have over our own. What this psychological notion teaches us is that we are prone to empathize with people that are similar to us, to trust their recommendations and opinions, and even to mimic their behavior. Reviews are often perceived as more trustworthy than advertisements. 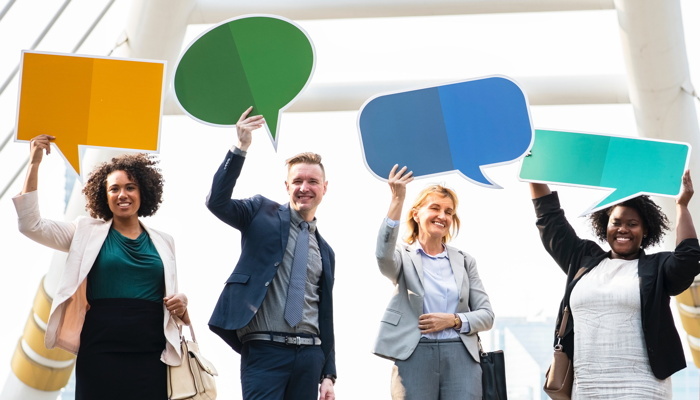 In fact, studies show that 92% of people will trust word-of-mouth recommendations over ads and the reason for that is simple - reviews are written by fellow consumers, people just like us. This is reinforced by further research, that revealed how 88% of consumers trust reviews as much as personal recommendations. As a business owner/manager, its important to also know this: studies unveil that customers trust businesses with a mix of positive and negative reviews more than one that only has positive feedback. It seems that 68% of consumers trust reviews more when they see both good and bad scores, while 30% suspect censorship or faked reviews when they dont see anything negative at all. Come to think of it, it makes perfect sense if you relate this to your own buying decisions: if you see a book on Amazon with an average rating of 4.5, that sounds completely legit - were talking about a great book. If another book has a perfect 5-star rating, that might raise some questions: is it really that amazing? Did absolutely everyone love this book? Is that even possible? You see how this scenario can be perceived as somehow dubious. 1. First of all, its crucial to acknowledge the importance and impact of online reviews. If you have not placed much emphasis on your hotels online reputation until now, its time to start making it a priority. A study showed that 88% of consumers read reviews to determine the quality of a local business. Also, know that after price, the review score is the most important decision variable that travelers need to convince themselves to book a certain accommodation. Its easy to see why online reviews pose such great importance in the decision-making process and why hoteliers need to properly manage their online reputation in order to achieve more booking and better satisfaction rates. 2. Moving one, another lesson that can be driven from the psychology of reviews is the importance of responding to them. A study shows that 30% of consumers highly value businesses responses to reviews. Other research determined that not answering a customer complaint can decrease that customers advocacy about the business by as much as 50 percent. Answering online reviews and guest feedback is not only a way of showing your guests that their experience and well-being is highly valued by your management, but it can also encourage future guests to make a booking. We recommend checking out our best practices for properly replying to positive and negative reviews in order to keep and nurture an excellent reputation. Keep in mind that even negative feedback can be a blessing in disguise, when leveraged right. Its valuable for any business owner to dip a toe or two into human psychology and the processes that go on behind the decision making process. When referring to hospitality, a highly personal industry, its even more important to oversee and influence the psychological side of online reviews, since they hold such a great influence over a business success rate. TrustYou, the worlds largest guest feedback platform, empowers hotels with solutions to drive more bookings and improve their hotel product. Through each phase of the guest journey, hotels can utilize guest feedback to enhance review marketing and achieve operational excellence. Guest feedback influences 95% of booking decisions. TrustYou Meta-Review, which incorporates hundreds of millions of hotel reviews, surveys, and social posts for over 500,000 hotels worldwide, powers guest reviews on dozens of travel sites, including Google, Kayak, and Hotels.com. * These reviews also generate actionable insights for hotels to improve their presence along each step of the guest journey, from booking and pre-stay search queries, to real-time guest requests and messages, to post-stay feedback in the form of survey responses and reviews. Through the TrustYou partner program, PMS, CRM, IBE and other hotel software providers can integrate TrustYous guest feedback platform into their products to help their hotel clients positively influence bookings and revenue.